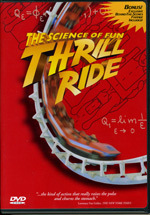 Take a ride on the wild side with THRILL RIDE: THE SCIENCE OF FUN! A white-knuckle adventure filmed in 70 millimetre, THRILL RIDE takes full advantage of the power of large-format film, locking the audience into the front seat of some of the wildest rides ever created including The Big Shot at the Stratosphere, Las Vegas and the rollercoasters Kumba and Montu, located in Busch Gardens, Tampa, Florida. Explore the heart-pounding possibilities brought to life when the imagination meets the computer work-station with director Ben Stassen, a renowned expert in the field of Computer Generated Imagery (CGI). And learn how cutting edge ride designers employ technology originally developed by the military and NASA to create the mind-bending ride simulators of today! 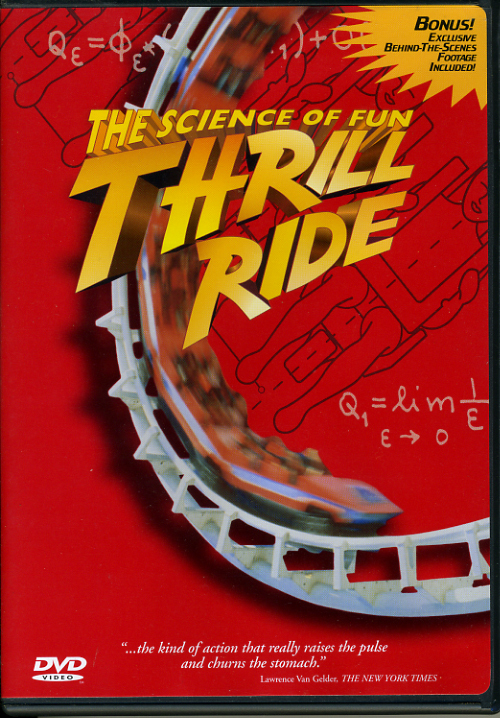 Using footage from some of the most popular rides ever created, THRILL RIDE, immerses the audience in the action...so fasten your seat belts for fun! This DVD is in NTCS (US) format, which will play on most DVD players, computers and tablets in the rest of the world. Please check that you can view this disc.